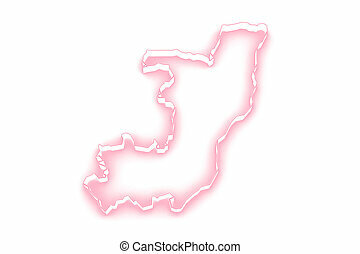 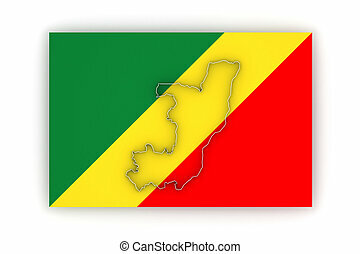 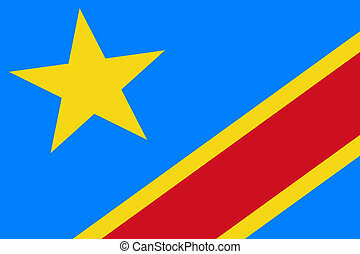 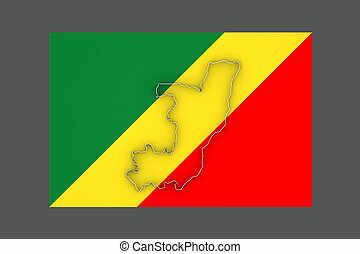 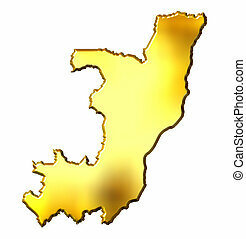 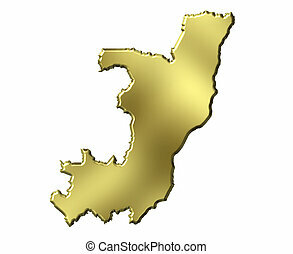 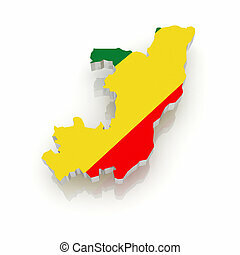 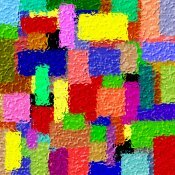 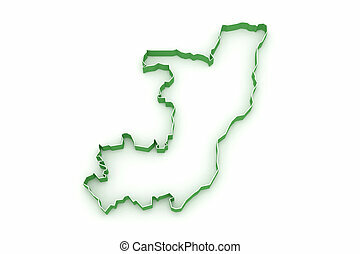 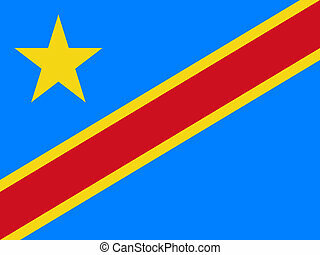 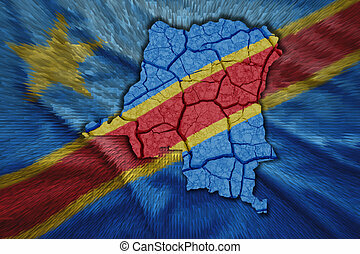 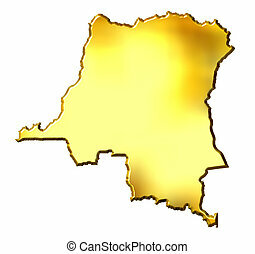 Congo the democratic republic of the, 3d golden map. 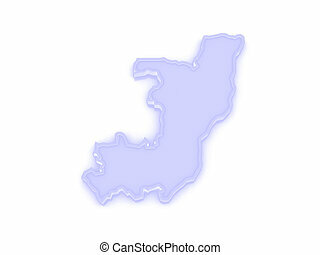 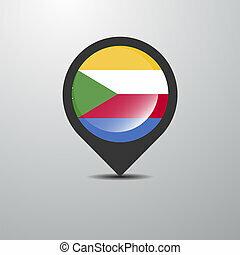 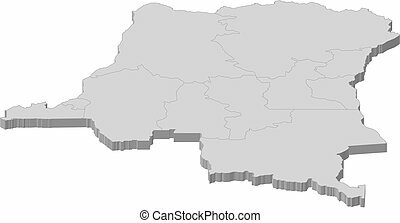 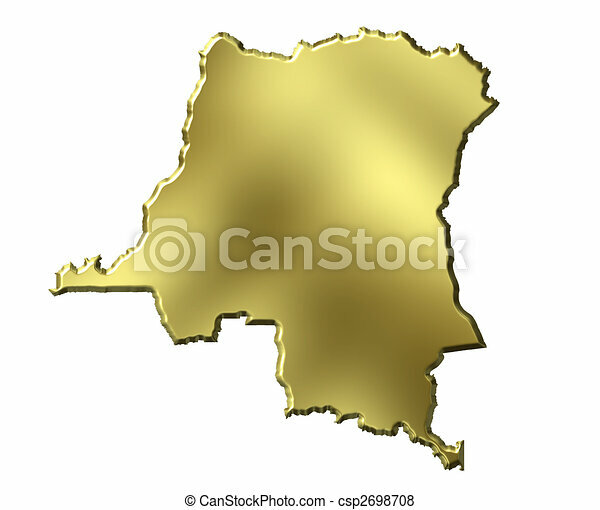 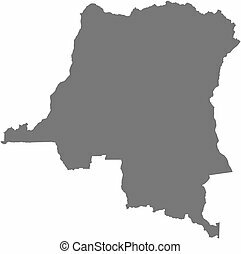 Congo the democratic republic of the, 3d golden map isolated in white. Map of Democratic Republic of the Congo, filled in orange. 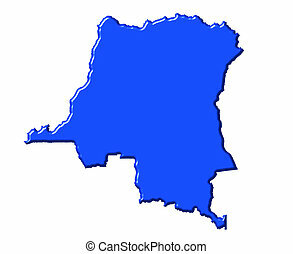 Map of Democratic Republic of the Congo as a dark area. 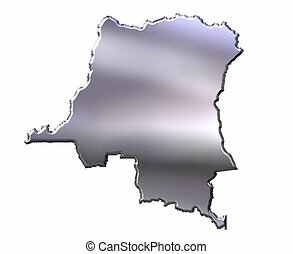 Map of Democratic Republic of the Congo as a gray piece.